Vishnuprayag is one of the most famous pilgrimage destination among all the prayags, Vishnuprayag get its name from lord Vishnu and it lies where Alakhnanda river and DhauliGanga river joins with each other, according to the history Lord Vishnu give vision to Narada here. 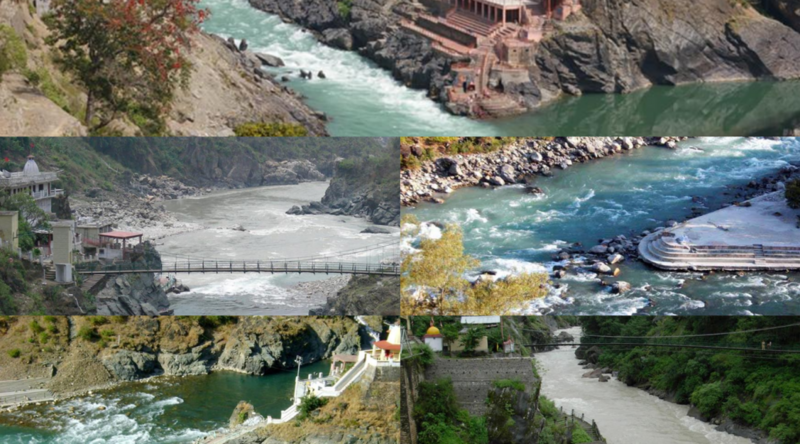 Nandaprayag is the second Prayag and is situated where Nandakni River joins with Alakhnanda River. According to the available information it was considered as a place where Lord Vishnu gave boon of the birth of a son to Nanda and his wife. Karnaprayag gets his name from Karna of Mahabharta. In karn prayag the Alakhnanda River joins with Pindar river and it was believed that the Karna did penance here and get kavacha and Kundala from his father lord Surya(sun). In Rudraprayag the Alakhnanda River meets with Mandakini River. The place was named after Lord shiva who is also known as Rudra, here the lord shiva performed Tandava and played a musical instrument called Rudra Veena. Devprayag is the first prayag you can visit on the way to Badrinath, here the Alakhnanda River joins with Bhagirathi and known as River Ganga. Devprayag gets his name from a poor Brahman called Deva Sharma. Very less number of people knows about keshav prayag which is located near Mana Village, here the Alakhnanda River joins with Saraswati.